That seemed like the quickest hour of my life. 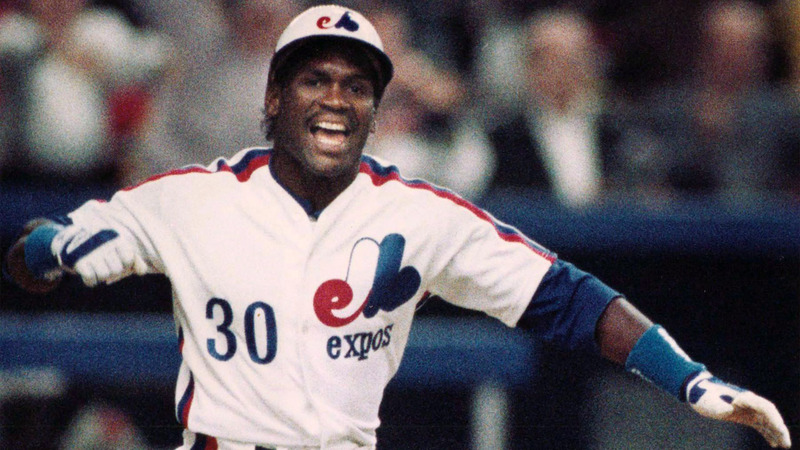 The quick, hour-long documentary on MLB Network dubbed ‘The Colorful Montreal Expos’ was really good tonight. There were so many things I never realized about the Expos; like their beginning years at Jarry Park. I have heard the name Rusty Staub plenty of times; I knew he was a white guy with red hair and lefty stick that played until he could barely walk; but I didn’t know he was the original rockstar player of the Montreal Expos. I didn’t realize how good the Expos were in 1981; and I didn’t know anything about Blue Monday. It’s refreshing to know that as much as I think I know about baseball history, there’s always a little more to learn. My favorite part of the documentary was when Andre Dawson was talking about Gary Carter’s final at-bat of his career in Montreal; it literally gave me goosebumps. Those two legends crossing paths one last ironic time and The Kid burning The Hawk for a double. My first memory of the Expos was that I really liked Delino Deshields. It was probably 1991 or so. Not long after that I discovered Larry Walker and another little speedster they had at the top of their lineup with Delino; Marquis Grissom. And they had Tim Wallach! I am sad I never got to experience baseball in the city of Montreal, because it seems like something that was beyond just being nostalgic; but truly unique and special. Although this was short – it was well done – and covered the definitive history of the Expos in full. It was the best baseball documentary I’ve seen in a long time.